Moving ahead from our previous blog post, we will be examining 4 additional foods which will help to enrich your general oral health. If at all possible, you should minimize food that includes high amounts of sugar, acid and stickiness. Anytime that you ingest food that is high in sugar and acid, you’re not only feeding yourself, but also the plaque that can inflict mayhem inside your mouth. The resulting acids from the mix of sugars and plaque may assault your teeth for as much as 20 minutes after you are finished eating! 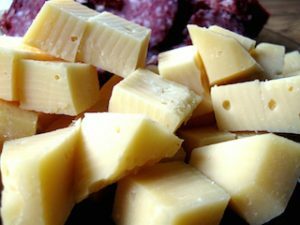 Cheese is certainly an excellent supplier of calcium, and low in both sugar and acid. This makes it an excellent selection. Additionally, cheese features a protein known as casein, which is found in milk and is particularly beneficial in fortifying the exterior of teeth. Sugarless chewing gum brands such as Xponent, B-Fresh, Xylichew, Trident and Spry all include xylitol, a sweetening agent. Take note that not all sugarless gum contain xylitol. Unlike many other artificial sweeteners, xylitol prohibits the bacteria in plaque from metabolizing sugar, operating more as an “anti-sugar” than a sugar alternative. Regular sucrose will lead to cavities and periodontal disease, while xylitol fights against them. Chewing gum in fact, really helps to get rid of bacteria and plaque from your teeth. Tap water incorporates ideal levels of fluoride which helps to prevent cavities. The explanation for this is simple: fluoride helps to remineralize teeth, reversing the negative consequences of acid, which breaks down enamel. Most bottled water doesn’t contain adequate active fluoride to have any real benefit. Pears help to increase saliva production, much like all other types of fresh fruit that contain fiber. Pears are a fantastic option, as they have a bigger neutralizing impact on acid than other types of fruit, including apples, bananas, mandarins and pineapples. Yogurt, similar to cheese, is generally an additional good supply of casein, calcium and also phosphates which help to remineralize teeth, the same as fluoride does. This can make it one more preferred choice for fighting against cavities. For more concerning foods which will help to improve your oral wellness, pay a visit to the Huffington Post. Do not forget to set up your next appointment, either using our web form or by calling our office in Sidney, Ohio. To get more tips regarding ways you can sustain excellent oral and general health, like us on Facebook and follow us on Twitter.